Listed to this whilst travelling from Cumbria to a GP Practice in East London and the journey just few buy. That the story is true just makes the story the more incredible. As you get to know the characters and see Nazi Germany from a frightened housewife?s point of view you get perspective. Not every one in the story is bad, and many are not good at all, but they are all so real and so ordinary. You see the risk, the helpless endurance when all around you hate. You see how bad things can get and how grateful we can all be for the simple safety of our homes. It left me wondering if in the end, I could have come through what she came through with as much dignity and humanity. It also on a personal level, without getting all weird about it, made me reflect on suffering. How in the end it?s so individual. 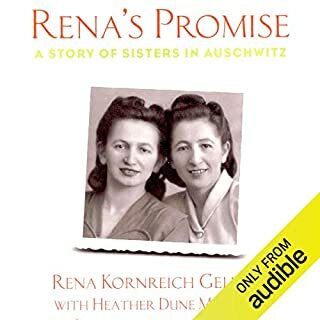 Millions might be suffering, but its millions of individuals just like you and I.
I have hundreds of Audible books now as I have been a member since only Audible.Com existed, and this is still one of my favourite listens. This is my first purchase on Audible. 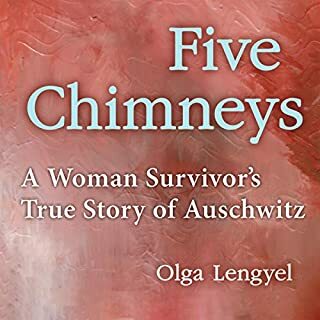 I am delighted that, by chance, I found this amazing book, beautifully and powerfully written, and brilliantly narrated. The characters come completely to life. It's hard to believe that someone had the courage to survive such an ordeal, yet it is also full of hope. I can't recommend it highly enough. 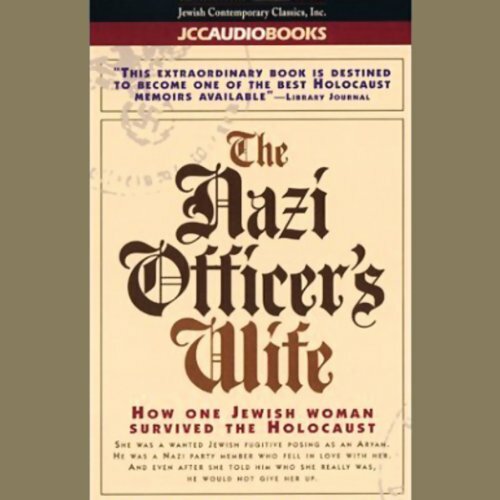 A fascinating account of how one Jewish woman survived the war in Nazi Germany, with the help of friends and false papers and sheer determination, ending up married to a Nazi officer. It was marvellous to learn more about those people who were prepared to help rather than look the other way. Her life was very hard and she must have been on a knife edge every single day but there is still humour there and an immense amount of courage. Listen to this to believe it...astonishing. What an amazing story. It unfolds slowly but the tension keeps building until it starts to feel like fiction. Such details of the buildup of the Nazi terror and killing machine seen experienced by Austrian citizens I had never realized, vividly brought to life. I have just spent (July 2013) a few days in Vienna where the tour guides don't even mention the war (except how draconian the Versailles Treaty from WWI was). No mention of the Holocaust. I couldn't believe it. So stories like this one need to be told and need to be heard. The narrator used many authentic voices - keeping me enthralled. 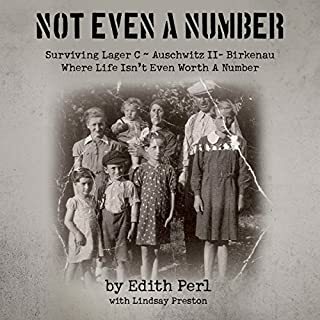 If I had been editing this before it went to print, I would have encouraged more detail about the author's life after WWII. That's my only complaint - it wasn't long enough! A great listen. Not too fanatically anti-German and very moving. This is an amazing book - I've been hooked on it since the beginning. Wonderfully written and beautifully read. Edith is such an amazing women - full of strength and courage. This book was really great to listen to. It allows you to try and imaginge what it must of been like for Jews during the was.It was also nail biting stuff on several occassions. A definate must have. 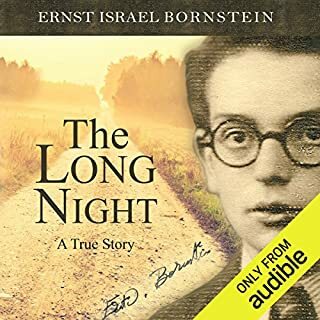 A fascinating story but I found it difficult to keep up with at times in that it jumps from one event or story to another frequently throughout the book. 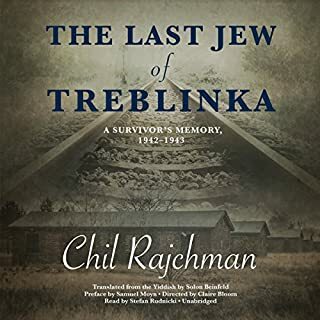 This book gave me new insights about the war and about how some Jewish people managed to survive at that time. A very captivating story and excellent narration. Makes me feel very fortunate and appreciative of the freedom my family and I have in our lives. I really enjoyed listening to this audio. 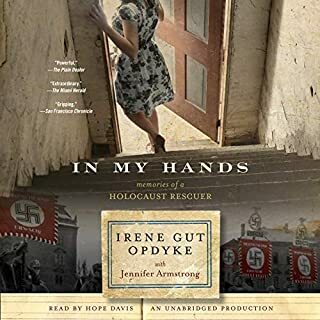 Wonderful expressive narrator and riveting storyline. Highly recommended!